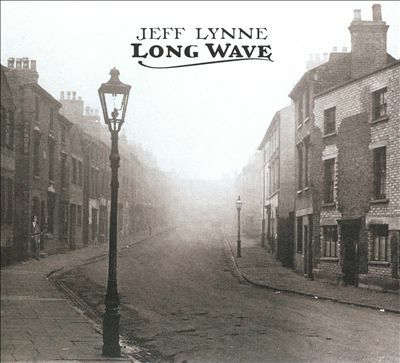 elobeatlesforever: Jeff Lynne: Long Wave Album & Artwork Revealed! "She";  "If I Loved You";  "So Sad";  "Mercy Mercy";  "Running Scared";  "Bewitched, Bothered And Bewildered";  "Smile";  "At Last";  "Love Is A Many Splendored Thing";  "Let It Rock";  "Beyond The Sea"
Looks like an album of covers. Tracks 6 and 7 would be one track "Bewitched, Bothered and Bewildered" (a Rogers & Hart song). I couldn't agree more with you MP. Its been 11 years since Zoom came out, 22 years since Armchair Theatre, and in all that time of reading about Jeff working on a new solo album this is what we get? I was lead to believe he was crafting new songs, writing new lyrics, etc. Instead he is simply rehashing old material of his own and other people. Sad, very sad. I agree from initial excitement from hearing news of two new albums I have waited 11 years for some new material. We get news of it at last and it is an album of covers and an album of re recordings. This is one of the biggest anticlimaxes of my life. This feels like a con, many people will be disappointed if this is true and there is no new material after all these years. I am saddened by this after so long, I hope its not true. Jeff's ability in the studio,.his musicianship, his voice......makes the prospect of a covers album an immensly exciting thought. In Jeff 's capable hands we're going to hear something so beautiful and original it won't even resemble just another covers album. Personally, I can't wait!.....Mark Burrows. ELO's songs after 1979 are not the best (well, maybe "Calling America" and "Rock N Roll Is King" are acceptable). Jeff himself said that Time, Secret Messagges and Balance Of Power we're meade only following his contracts. I am gutted I must say after waiting so long for some new material. At last I thought we were getting some and we get this. This has depressed me after being excited by the news of two new albums. I thought maybe one would be a cover album and another of new material. But for both to be old material has made my heart sink after hoping for some fresh new material, I thought after 11 years this was going to happen. He must have run out of ideas. Very sad to hear this, I wish he had not bothered getting my hopes up just to hear this. This has depressed me. Gutted about this why no new material after so long. This is not what I expected. I fully expected covers, firstly Jeff hasn't co-written with anyone since 'Into the great wide Open' album with TP (I think I'm correct about that). After that we had Zoom but no other co-writing with anyone else he produced 12 years since that album. No surprise to me at all, but I'm very surprised other fans haven't picked up on this fact, & I suspect that many people couldn't bear the idea he can't write as prolifically any more, as he used to. really looking forward to jeff lynnes new album even if it is a covers album. i have listened to the original versions of these tracks on you tube .i really think jeffs voice will suit these songs.jeff is is giving us an insight to the songs that inspired him when he was a young lad in birmingham to get in to music. hello my old friend why is everybody so down ok the master hasent given us new work wot we wanted but it is better than nothing.i think we will happily surprised when everyting comes to light so hold on tight it wont be long till were all running down that avenue and saying jeffs new album is a living thing. in jeffs house singing evil woman unplugged and it also includes fred the robot in the background. the light is has been turned on again. Agree with you. So much people are "dissapointed" by the 11 years waiting. But we must know that Jeff always produces very good songs and versions. These releases are going to be great. In addition to this 2 albums, Jeff is ready for the reissues of Armchair Theatre and Zoom, and a live album in 2013.
i don't get all the negative stuff. remember what John Lennon said "good songs are always good songs"...Jeff has achieved Ray Charles status with me.. he could sing "mary had a little lamb"' and it would slay me.. come on guys...Jeff is showing us where he came from.. also..T-Bone Walker re-did his classics on Atlantic in the 60's and many consider these ..the best. Rock and Roll is King! Hello Everyone, I too am a bit disappointed that Jeff chose to do an album of old standards, but that's because I'm such a fan of his songwriting. I heard one track off the new album on Iain Anderson's show out of Glasgow - Etta Jame's "At Last". It's an interesting take on the song. Jeff's voice sounds fabulous and there is a surprising Rock undercurrent and feel to the production. Give it a listen when you can. Can anyone tell me how long the Long Wave album is in minutes.